Led by the Trade Union Congress of the Philippines (TUCP) Women’s Committee, the activity was done in solidarity with millions of workers in the world who suffered, got ill, injured or died because of preventable workplace accidents. It is part of the TUCP’s incessant campaign for better, safer, and more sustainable workplaces. The International Workers Memorial Day (or International Commemoration Day [ICD] for the Dead and Injured or International Day of Mourning) as explained by TUCP Director for Women Florencia Cabatingan, takes place every year around the world on April 28. “It is as an international day of remembrance and action for workers who died, disabled, got injured or got sick because of their work,” said Cabatingan. One of the highlights of the commemoration is the individual reporting of Occupational Safety and Health (OSH) issues/violations in companies under TUCP organizing. All 44 participants wrote down and reported dangers, risks and hazards they face at work. The individual lists contain many and varied occupational safety and health (OSH) concerns. Many can easily be remedied if given immediate attention. Among these are missing machine guards, exposed live wire, leaking chemical canisters, slippery floors, raw materials sprawled on the floor, unmarked safe pathways, broken ventilation fans, poor lighting, etc. However, the stories of Violet, Ana Leah, and Stella stood out. Violet, a young call center worker shared three issues. First, she related how the ‘regular’ graveyard shift in call centers is affecting her health, family responsibilities, and her social activities. As her company caters to American clients, she works at night while others are asleep. She goes home while most workers are just getting started for the day. Her activities are done in the time of the day when majority of workers are doing the opposite. Even going for a bottle of beer with her colleagues, she says, is done very early in the morning, when commonly it is done in the evening. Second, discrimination is happening and takes many forms, she says. One gets better assignments and promotion when one is a friend of the supervisor or team lead. ‘It is as easy as that.’ Conversely, one gets sacked or penalized even with only a minor sleight in one’s relationship with the supervisor. Third for Violet, is a serious concern. Her company prohibits workers to join unions. She shared that joining unions is completely forbidden. She said that Provision 8 of their employment contract specifically states that, as worker of the company, she cannot join a union or similar organizations. She is happy, however, that TUCP through Voice in the Call Center Industry (VOICE) is reaching out to workers in the BPO industry. Recently, three of her colleagues received free legal assistance from VOICE. Ana Leah, a worker in an auto parts manufacturing company inside one of the country’s special economic zones (SEZs) shared that poor ventilation is a concern in her workplace. With industrial machines all over, it really gets hot at her work station, especially when the air conditioning system breaks down. But that is only one concern among many, she says. Unsafe working conditions are not the only threat to the life and limb of workers and union members, she says. Co-workers who belong to a rival union also pose clear danger. She related how their mother federation was labelled as “traitor to the working class.” She also shared about threats written on her co-workers’ locker doors. We won the recent certification election, she says. But it took hard work, firm united stand and strong resolve to thwart the anti-union minority. She acknowledged the help of her mother federation in the process. Meantime, Stella worked for about ten years in a Japanese-owned company that manufactures camera lenses and other parts. She is the union vice president. Pervasive employment of contractual workers is undermining the union. They have fought for a very long time for the union to be recognized and to be able to negotiate better benefits and to ensure safer working conditions, she says. For some five years, the company refused to recognize the union. No CBA had been negotiated. Within that span of time, three union presidents resigned out of frustration. Every time this happens, Rowena takes over as interim president. For Stella, getting union recognition is a priority. It would be the beginning of problems in the company --employment, wages, benefits, and OSH concerns -- being solved. To counteract management’s refusal to recognize the union, Stella and her co-leaders filed a petition for certification election. From there until the certification election, the union faced three legal opposition from the management. The company is bent on resisting the union. It is sad, Stella says, that the union faced company lawyers who once occupied high positions in the labor department. As the law is clear on the “by-stander” role of management in the organizing process, the union won all three legal cases. But the long process can sometimes be disheartening, she shared. Following the reporting and discussion, a symbolic burning of OSH issues took place. Led by Sis Cabatingan, Violet, Ana Leah, and Stella, each participant burned their list of OSH concerns. That symbolized everyone’s commitment to take action and ensure safer, better and more sustainable practices and systems in their workplaces. It also symbolized their resolve to make occupational safety and health among the many priorities of the union. The balloons served as final tribute to the workers killed on the job, another way of saying good-bye to co-workers. 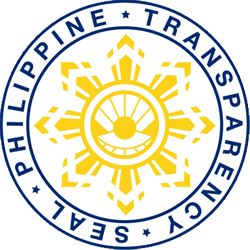 TANDAG CITY, April 23 (PIA) – Surigao del Sur Provincial Prosecutor Florito Cuartero had this piece of advice to capitol employees to reexamine their Statement of Assets, Liabilities, and Net worth (SALN) while there is still time. He said that the deadline of filing is on April 30. During Monday’s flag ceremony program which the Provincial Prosecutor’s Office (PPO) hosted, Cuartero shared about some odd entries found on the SALN of not only few but, according to him, many teachers who have these documents filled up with “wrongful information.” When he asked who taught the concerned teachers about their SALN which yielded a “negative” result, the teachers allegedly replied that it was their principal, but Cuartero did not name names. He said that one can be liable for perjury for such a deliberate act while failure to file also comes with one to six months jail term. Besides, Prosecutor Cuartero bared that he had also noticed some SALN disregarding the signature of a “jobless spouse.” He warned that any property of the husband or the wife as the case may be becomes a conjugal one. There were still a lot of wrong entries that Cuartero pointed out. BUTUAN CITY, April 23 (PIA) - The Department of Environment and Natural Resources (DENR) Research personnel in Region 13 headed by Regional Technical Director Ronilo Salac, with the assistance of dozens of “job order” workers have bagged thousand seeds of premium and dipterocarp species at its Clonal Nursery Center in Barangay Buod in this city to replenish the 30,000 seedlings used in the replanting activities of PENRO Tandag, Surigao del Sur as the nation celebrates the Earth Day festival with the theme, “Earth Day every day, everywhere, for everyone” on Tuesday, April 22, 2014. In some parts of the region, Regional Executive Director (RED) Nonito M. Tamayo led the tree planting ceremony together with the local government officials and other national government agencies and private organizations held at Lantawan Kitcharao, Agusan del Norte. PENRO Roberto Oliveros of Agusan del Sur revisited the sites of the National Greening Program (NGP) in Talacogon and Bayugan to check the progress of the survival of the tree seedlings which were planted in January this year by the members of the Community-Based Forest Management holders. He also led the tree planting activities together with the field personnel of CENRO San Francisco, Bunawan, Loreto, Talacogon and Bayugan at Mt. Magdiwata in San Francisco, Agusan del Sur. The PENR offices in Surigao City and Dinagat Province and the CENR offices in Lianga, Barobo and Cantilan in Surigao del Sur have conducted similar tree planting activities in separate locations. On the other hand, the Environment Management Bureau Office Personnel have conducted coastal clean-up at Barangay Masao in Butuan City. RED Tamayo reiterated the call of DENR Secretary Ramon JP Paje to the people in Caraga Region to be actively involved in the National Greening Program which is seeking to plant 1.5 billion tree seedlings in 1.5 million hectares throughout the country over six years period beginning 2011. He said there are other organization in the region that are now enjoying the fruits of their labor as they expect to earn millions by participating in the NGP. BUTUAN CITY, April 23 (PIA) - From the previous annual allocation of P226,000 which can only accommodate 113 registered senior citizens at P2,000 each in the year 2010 to 2012, this year’s budget for mortuary assistance to deceased senior citizens has significantly increased and almost doubled up to P450,000. This recent development, after much effort from city councilor and chairman of the Committee on Social Services and Senior Citizens Ferdinand Nalcot, has finally pushed through and is now seen to be able to cater to almost twice the previous number of senior citizens whose families were able to claim mortuary assistance in the recent years. SURIGAO DEL NORTE, Abr. 23 (PIA) – Andam na ang isla sa Siargao alang sa ika-pitong hugna sa Siargao International Game Fishing Tournament nga nakatakdang pagasugdan karong umaabot Abril 24 ngadto 27 karong tuiga didto sa lungsod sa Pilar, Siargao Island. Ang maong kalihukan gitambayayungan sa Department of Tourism (DOT) Caraga, probinsya sa Surigao del Norte, lokal nga pangagamhanan sa lungsod sa Pilar ug ang kumpanya sa One Corporate Events. Adunay 75 ka mga mahiligon sa panagat (anglers) gikan dinhi sa Pilipinas ug sa laing nasod ang gikatakdang mosalmot sa nagkalain-laing kategorya lakip na ang Kinadak-an nga Balo (Biggest Billfish), Talakitok (Trevally), Wahoo/Tangigue ug Kinadak-an nga Dorado. Mokabat sa P300,000.00 ka pesos ug mga tropeo ang pwedeng maangkon sa mga palaran nga makakuha sa kinadak-an nga mga nasangpit nga isda. 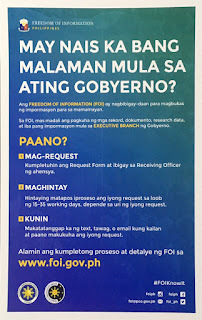 Atol usab sa maong kalihukan ipahigayon sa Department of Foreign Affairs (DFA) ang pagproseso og mga pasaporte nga pwedeng mapahimuslan sa mga turista ug mga residente sa maong lungsod. BUTUAN CITY, Abril 23 (PIA) - Mokabat ngadto sa tres milyones kapin ka peso ang gipang-apod nga tabang pinansyal ngadto sa mga nagkalain-laing lehitimong organisasyon sa lungsod sa Las Nieves, Agusan del Norte gikan sa buhatan sa Department of Social Welfare and Development kun DSWD ning rehiyon sa Caraga ubos sa programang Sustainable Livelihood Program sa maong buhatan. Niadtong Abril 3, 2014, didto sa covered court sa maong lungsod giapod-apod ang P3,750,000.00 ka pesos sa pagpauna sa mga opisyal sa DSWD Caraga ngadto sa 375 ka mga benepisaryo gikan sa 18 ka mga bog-ong naorganisa nga SEA-K kun Self-Employment Assistance para sa Kaunlaran nga organisasyon. Ang maong kantidad nga nadawat sa katawhan himoon nilang puhonan sa ilang negosyo o kaha sa livelihood programs. Kahibaloan nga ang lungsod sa Las Nieves, matod pa sa DSWD, maoy nanguna sa Agusan del Norte isip daghay kooperatiba nga namugna ug sa ingon miangat na ang ilang inadlawang kinitaan.